Wow, I believe that statement to be SO true! Deep down I have this feeling that I can accomplish something great with my life; that I can be someone who could really make a difference at something. Have you ever had that experience where you are talking with another woman and you move past that superficial level of conversation and really start talking about things that matter. You get to the point in the conversation when one of you shares a dream or goal that you have for your life. It’s a little scary to share it with someone. Sometimes it’s just a little scary to say the words aloud because you usually just think them in your head. When you take the risk of sharing a big dream or goal and the other woman responds in a way that is encouraging, and not acting like you are crazy for even thinking you could accomplish it, it is so encouraging. I was at a MOPS group last week that was just starting out for the school year. At the beginning of the meeting we did an icebreaker activity to get to know the other women in the group. We were asked to answer just a couple questions to each other. The first woman that I was talking to was one of the mentor moms and the last question was “What is a dream that you have for your life?”. We were supposed to be answering quickly in a “speed dating” type of style, but I paused for a moment, trying to figure out: do I give my real dream that I believe God placed on my heart several years ago that I don’t really share with many people, or do I give the superficial answer of a smaller dream that lots of people have for their life? Well, something pushed me to go for it. I told this woman my dream that I hold close to my heart, “someday I want to own tons of land. I want to have a lodge style building on the property and I want to hold events and seminars. A place where people can go and learn and get away from it all.” She didn’t look at my like I was crazy, instead she encouraged me by asking a few questions and sharing that she has a similar dream herself. We all need encouragement in life. We need encouragement for the day to day activities, and we need encouragement to try for our big dreams. But, so often we don’t receive the encouragement that we need because we are too scared and reserved to put ourselves out there to receive it. 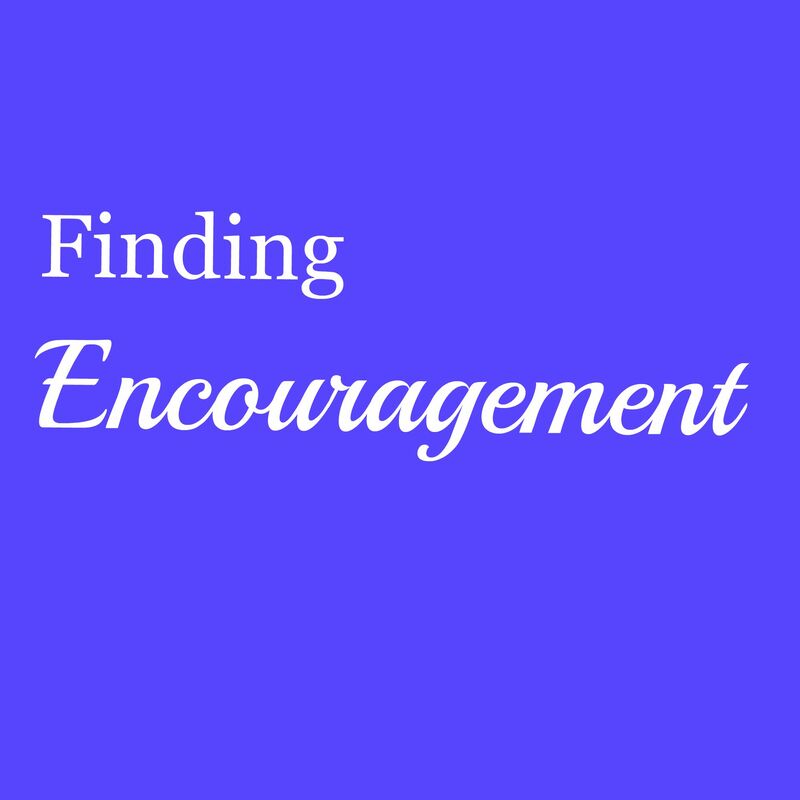 How can someone encourage me if they don’t know that I need encouragement in something? I think we do this for several reason, or at least that we have several excuses, but I believe the real issue behind it all is… FEAR. Many of us have been hurt in this area in the past. We have been laughed at when sharing a dream for our life, or told that it will “never happen”. We have had a person, a few people, or lots of people, in our past that have discouraged us; so we go on living a discouraged life. It’s hard to keep putting yourself out there, but I believe it is necessary if we are going to live a big, BOLD life. Do you want mediocre for your life or do you want great? Do you want to live a discouraged life or do you want to feel encouraged and give encouragement to others? Do you want to achieve that goal that you hold so dear to your heart, the one that you think is too big to share with others? 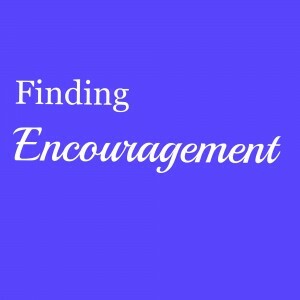 Start, by finding encouragement in the Bible. God provides us with so many examples of ordinary people who He uses to do extraordinary things: Moses, with a speech issue, spoke in front of the Pharaoh, took the people out of Egypt and parted the Red Sea, the disciples healed people and drove out demons, a donkey talked, Joseph saved a nation, Daniel survived a night in the lions’ den, people brought down the walls of Jericho. We aren’t strong enough, smart enough, and tough enough to do it all, but if we believe our dream is what God has placed on our hearts, He will be the strong enough, smart enough, tough enough that we need to accomplish it. Don’t be afraid to share your dream with the right person for encouragement. I don’t think it is wise to share dreams and goals with every person (at least right away), because some people are negative and will try to bring you down. Share with people that will encourage you and build you up in the beginning. When you get further along in pursuing your dream and it becomes necessary, slowly start sharing with those negative people, but keep drawing encouragement from the positive ones. We will never accomplish our dreams if we are too afraid to share them with someone in the first place. Sometimes the scariest part is putting it out there in the first place, breathing life into it by saying it out loud or typing it. But, if we let our fear of failure overcome our passion to reach our dream, we will never accomplish anything. What is your dream that you hold close to your heart? Take the first step and share it in the comments. Let this be a source of encouragement to you. I promise to encourage you and not discourage you in your dream, and will not allow any negative comments. Go ahead…take the risk…put it out there… What is your dream?